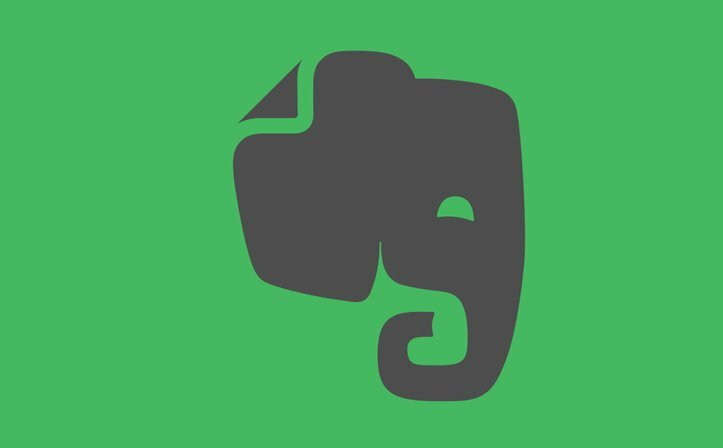 Evernote is one of the most popular productivity apps across platforms. If you love taking notes of everything so that you miss nothing, you must start using this app if you aren’t doing so yet. Here’s an Evernote guide explaining the basics. Every day is a busy day. There’s too much to do but not enough time. The trick, here, is to get organized. And to do so, I’ve been using an amazing service called Evernote for the past few months. Surely, you’ve heard of Evernote. Everyone has. With 200 million plus users, Evernote is one of the most popular services of all time. And, if you are not using it yet to organize all the data in your life in one place, maybe you should start now. Evernote has been out for a decade now and has gained a dedicated following in the last few years. If you’ve thought of trying it but never got around or if you’ve tried it already but couldn’t get it to work for you, then this is for you. In this article, we will be covering the basics of Evernote. Evernote started as a note-taking app but has now become much more than that. But, at its core, the main purpose is still taking notes. So, let’s start with that. A note is a simple text file with a title and a body that contains information. Evernote supports text formatting, so you can change the size, styling, typeface, etc. It also covers the basics like checkboxes and bullet points. But the notes are not limited to texts only. With the help of attachments, you can add all sorts of stuff like photos, videos, audios, and word documents. Simply tap the attachments button at the top and you are good to go. 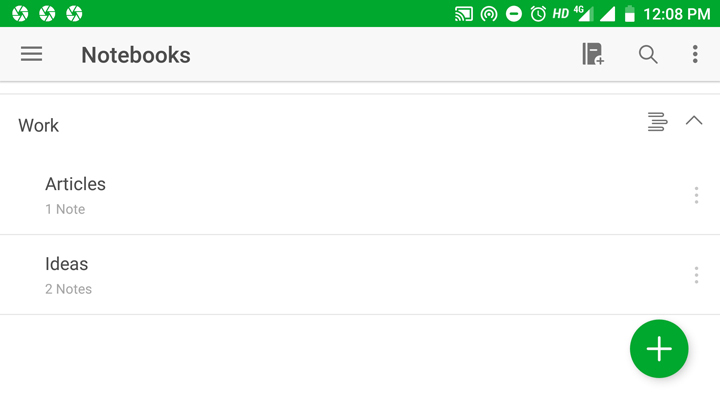 As you might have guessed already, Notebooks contain your notes in Evernote. Whatever you put in Evernote is placed into a default notebook. From there, you can move them to different notebooks depending on your organization needs. For example, I’ve created multiple notebooks to keep my ongoing and future projects or goals separate so that I don’t mix different ideas and information together and create a confusion at the time of need. It’s a neat way to keep things organized. 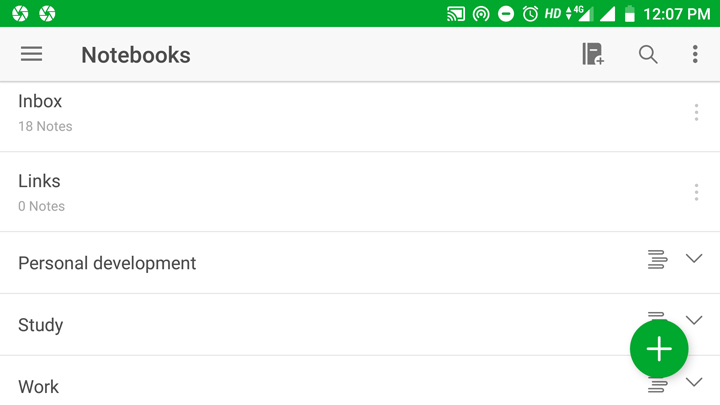 If your Evernote ever gets so full that it becomes hard to keep track of things, then using stacks may solve the problem. While stacks don’t contain any notes themselves, they function as a home for notebooks. To put it simply, stacks are like notebooks for your notebooks. They make navigating through Evernote a lot easier. To create a stack, all you have to do is long press the required notebook and select the option of creating a new stack or moving it to an existing stack. The best example I can think of is creating a stack for studies and then putting in different notebooks for different subjects. Trust me, this makes keeping track of notes a breeze. By now you must have realized that Evernote is all about making notes and organizing them. If not, then here’s another feature that helps you organize and find your notes – Tags. 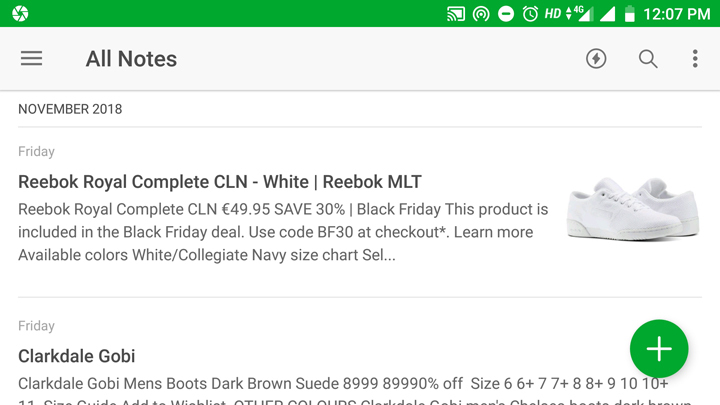 Other than tags, you can also use the built-in search feature that is incredibly powerful. For example, once you scan an image or attach a document to add it to Evernote, the texts in them become searchable. That is cool. Next, Reminders. So, reminders in Evernote are not as powerful as you see in task management services, but it gets the job done. It works just fine in bringing a note to your attention at a specified date and time. And, setting a reminder is simple too. Just tap the clock icon in your notes page and set the time. There’s no place for collaborating and sharing in personal note taking. But if you use Evernote for storing ideas about a project that you are working on with other people then this is a must-have feature. 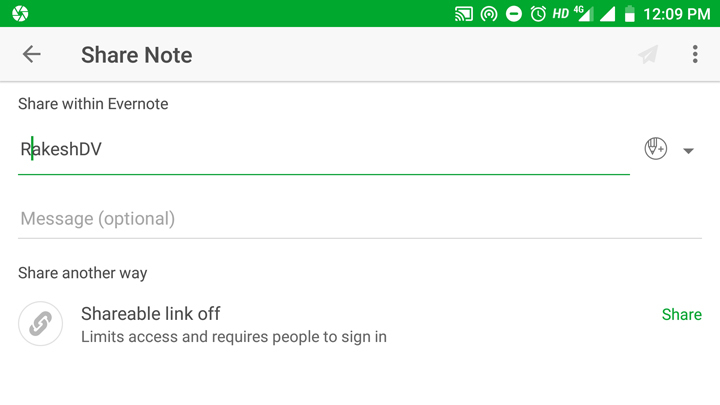 Notes and notebooks can be shared by using the share button in your notes page. Tapping it will open a new window where you can enter the email of your colleagues or friends and decide who can view, edit or invite others to this particular note. Evernote’s web clipper is a must-have tool if you do a majority of your scouting on your desktop. The web clipper is a browser extension that lets you save web pages or parts of it to your Evernote account. Selecting notebook, adding tags or comments – everything can be done with the help of this web clipper. Evernote is an awesome tool that can turn your life around if used effectively. 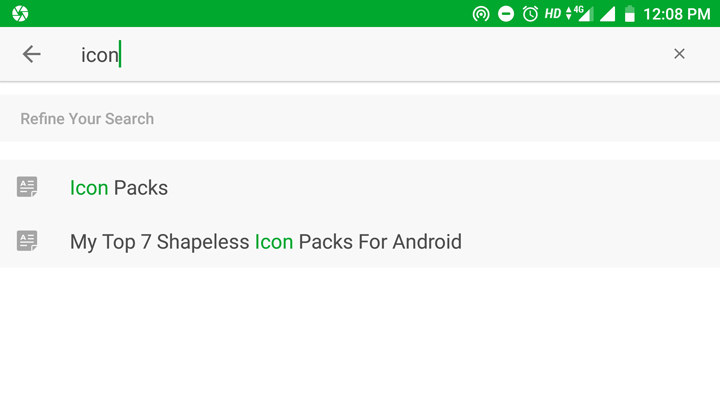 It can be used for free but also offers monthly subscriptions for extra features like an increased upload limit, offline notebooks, sync to unlimited devices, search for texts inside images, documents, and PDFs, annotation of PDFs, digitization of business cards, private email for forwarding content to your own Evernote account, etc. This seems like a lot of features to miss out on. But the reality is that the Evernote subscription is relatively expensive. And, if you are just getting started, I’d recommend you stick to the basic version for a while and then upgrade according to your requirement.